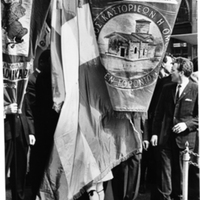 Image of men standing with large embroidered banners, some of which read "Society of Kastorians Omondia." 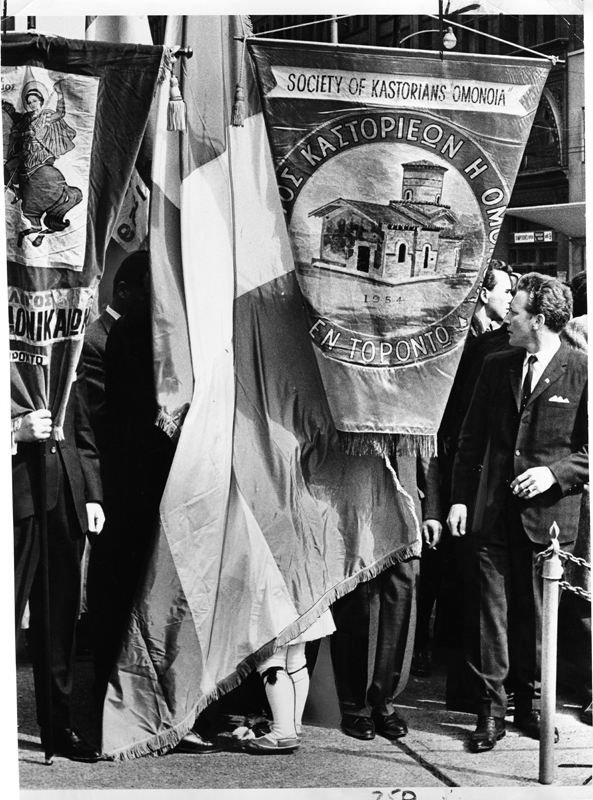 Caption reads: "His feet and his Greek kilt are all that show of a 5-year-old Stanley Tsimicalis as he stands behind towering flags and banners at City Hall. The ceremony yesterday marked 142 years of Greek freedom from the Turks." Toronto Telegram, “ASC08810,” York University Libraries | Clara Thomas Archives & Special Collections online exhibits, accessed April 25, 2019, http://archives.library.yorku.ca/items/show/4121.